One of the great things about Australia, apart from the laid back nature of the people, is the diverse landscapes in our sunburnt country. In a couple of weeks we will be heading off on our first trip of the year and themed from The Ocean to the Outback. Hey, it will be great to have you along, so I’ll give you a shout as we are heading down the driveway in “The Landy” – strewth, if we’re lucky Janet-Planet might cook up some of those great scones of hers over a camp fire! 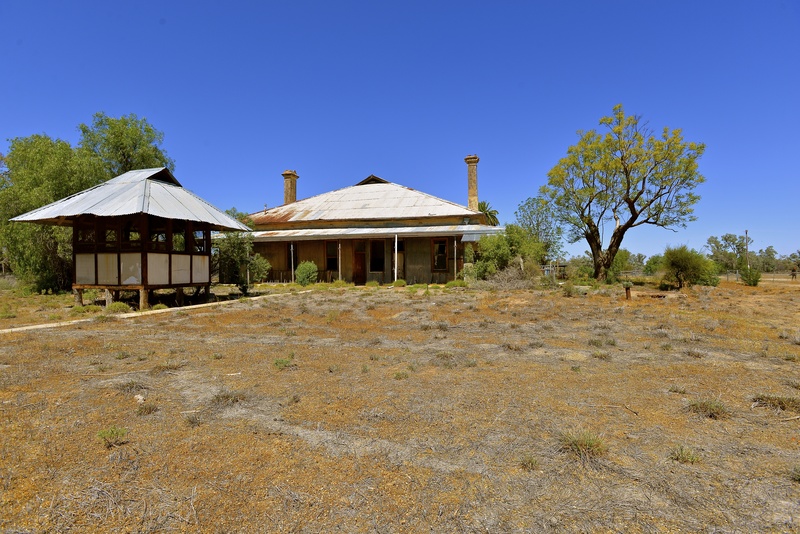 Situated on the Darling River not too far from the small township of Louth, Trilby Station is a working sheep station and home to Gary and Liz Murray. The Billabong is a prominent feature of the property. 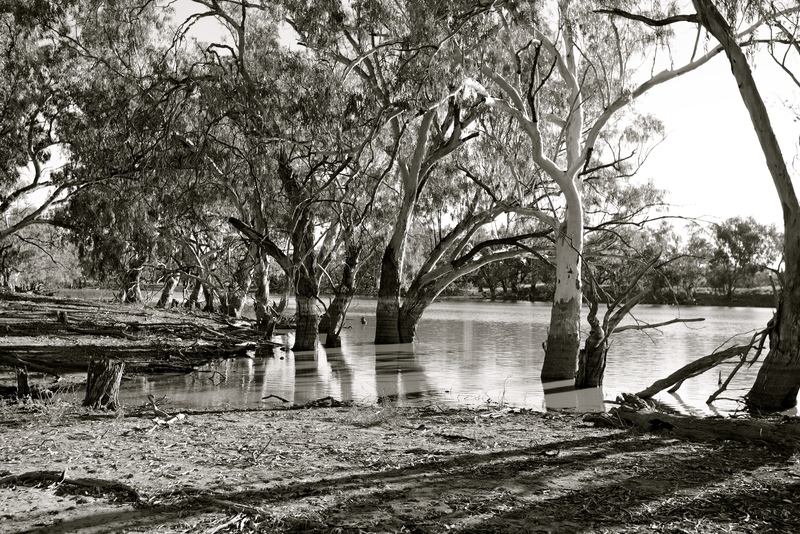 Situated a short stroll from the family homestead the billabong requires a flood event on the Darling River to fill with water. In recent times this has occurred in 2000, 2011, and 2012, and when it does the homestead is isolated and at times has required the family to be airlifted to the safety of higher ground. Mind you it has not always flooded so regularly. Gary’s father, Dermie Murray, who was born in 1929 at Dunlop Station on the Darling River, was 21 years of age before he saw the mighty Darling break its banks in flood. Dermie and his lifelong partner now live further downstream and nearer to the township of Tilpa. 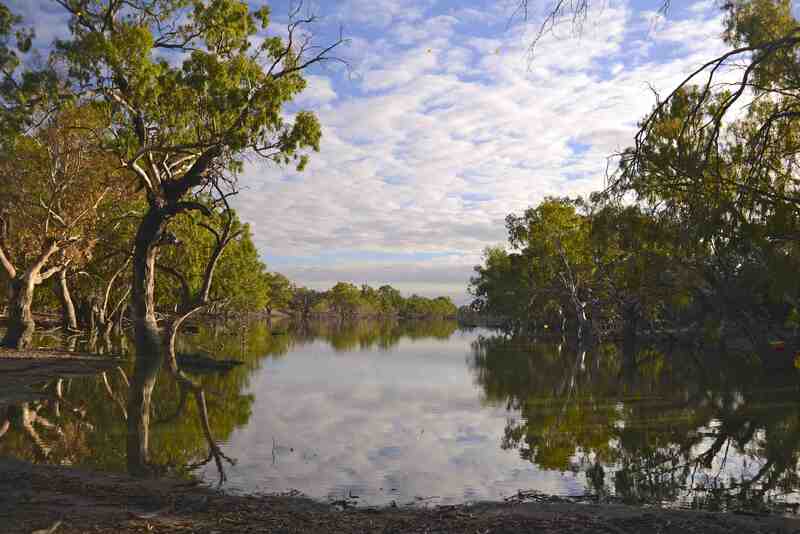 We have been fortunate to visit at times when it has been full, but as is often the case in Australia’s semi-arid regions the billabong is now dry once again. 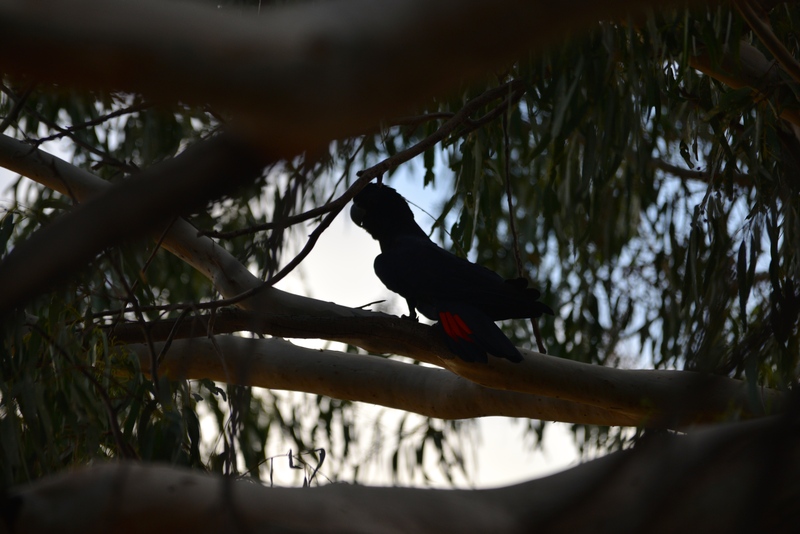 Gary and Liz are wonderful hosts and you can camp down by the river, or by the billabong, and if camping is not to your liking you can stay in one of the stockman’s cottages, or the shearer’s quarters. 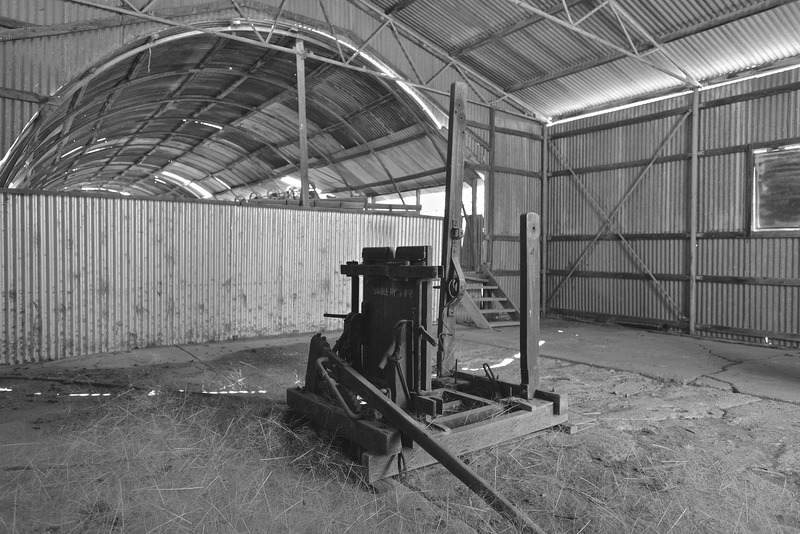 Once a part of the million acre Dunlop property, the first in the world to undertake sheep shearing by mechanical means in 1888, Trilby Station today comprises 320,000 acres and runs up to 24,000 merino sheep and has an extensive goat enterprise. 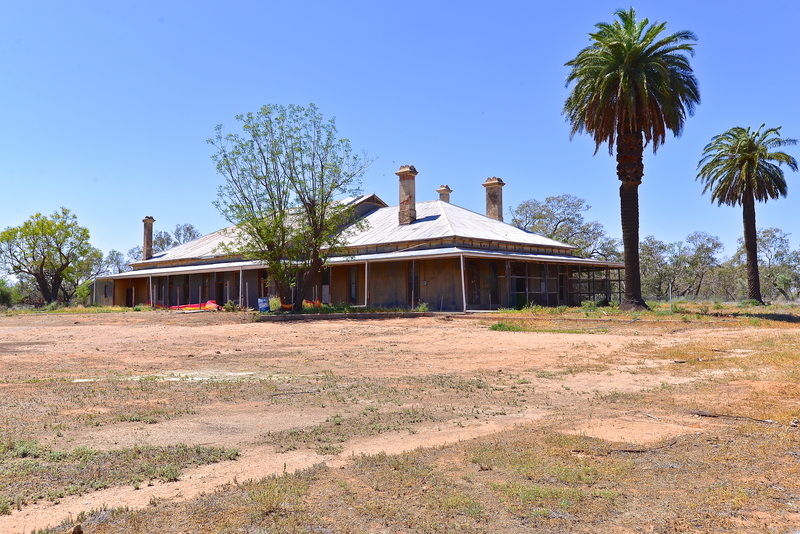 The Station is situated on the Darling River near the small locality of Louth and approximately 125 kilometres south-west of Bourke. The area is rich in aboriginal history and more contemporary Australian history. They say that time spent atop Mt Oxley nearby to Bourke, looking across the great expanse to the west rekindles the experience of explorers’ Stuart and Hume in 1829 where they felt that “this would never be the haunt of civilised man”. Our hosts are Liz and Gary and the Murray family can trace their settlement on the Darling River near Louth back six generations to 1860. 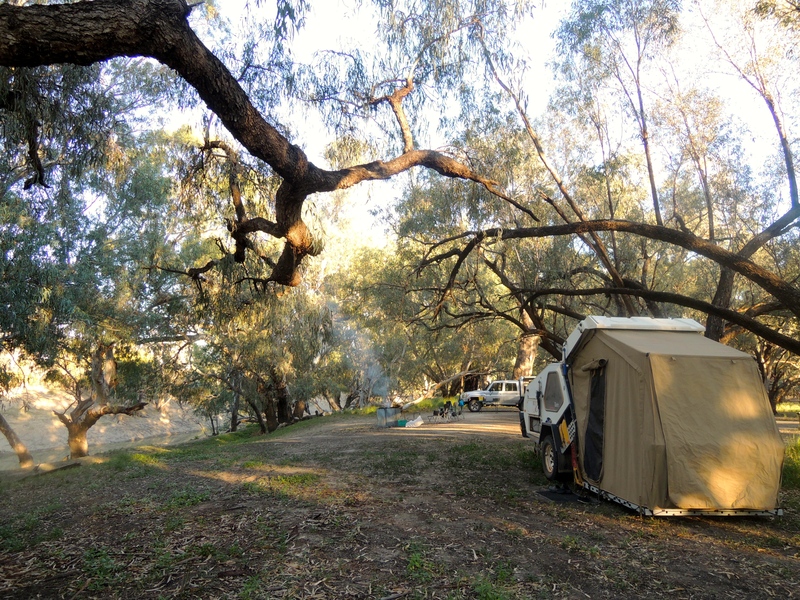 We have a camp looking down onto the mighty Darling River, which is still flowing strongly despite being much lower than in September last year. And being ANZAC Day we are heading off to a memorial service to honour our fallen at the small township of Louth, and of course, a few beers in the pub afterwards. For those not familiar, Henry Lawson was a poet, a writer of fiction, and many will argue, Australia’s greatest writer. Earlier this year we packed ourselves into “The Landy” and headed to Grenfell, his birthplace in the Central West of New South Wales, to attend the Henry Lawson festival, as well as just getting Out and About – of course! On our most recent trip to the outback we visited Toorale Station which was a vast sheep and cattle property before its purchase by the Federal Government in 2008 and development into a National Park in 2010. The purchase of the property did have political overtones, and was done, in part, to release water that was used for cotton growing back to the river systems. Toorale had at its centre, a magnificent homestead, with a glass ceiling ball-room, sprawling verandahs, wonderful gardens and hand-painted wall paper. Standing at the gate, my mind’s eye could picture a by-gone area, of women in long-white dresses sipping tea from delicate porcelain china, shaded by the afternoon sun by one of the many trees in the manicured garden, while men toiled on the land..
Set at the confluence of the Warrego and Darling Rivers it remains a place of cultural significance to Australia’s first people, specifically the traditional owners, the Kurnu-Baakandji / Paakantji People. 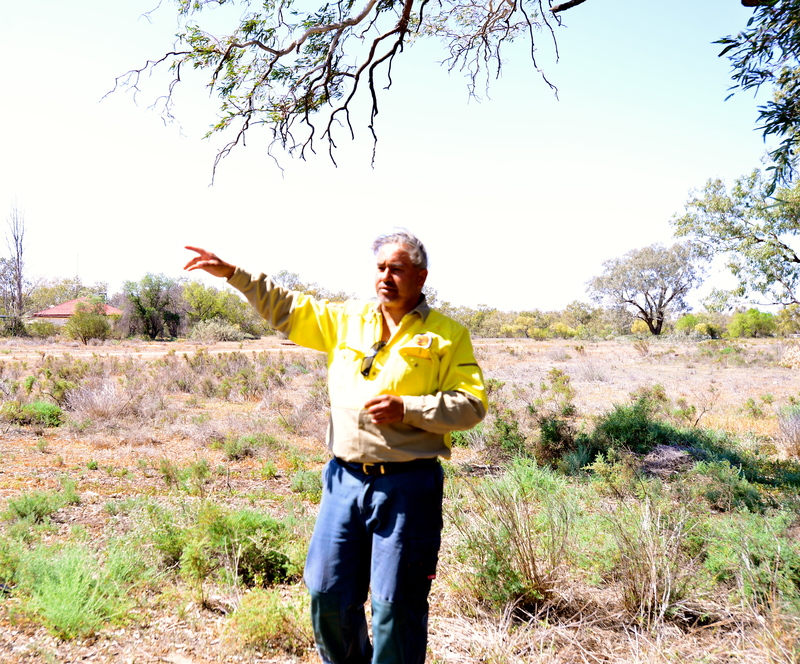 Ross Morris, a member of the Kurnu-Baakandji / Paakantji family, showed us around and was enthusiastic about the opportunities ahead for the park, especially the cultural centre, which is teaching their traditional language, heritage and beliefs to younger members of their community. Ross spoke fondly of the time his father and grandfather spent on Toorale, and of the original owner, Samuel McCaughey, later Sir Samuel. And it was Ross’s proclamation that it is no longer Black and White, a nice pun I thought, when he explained that we all have a bond to Toorale, whether through traditional ownership, or the heritage created by earlier settlers to the region. Ross’s viewpoint was also echoed by other first Australians’ we spent time with on this trip, on our visit to Mutawintji and Peery Lake. 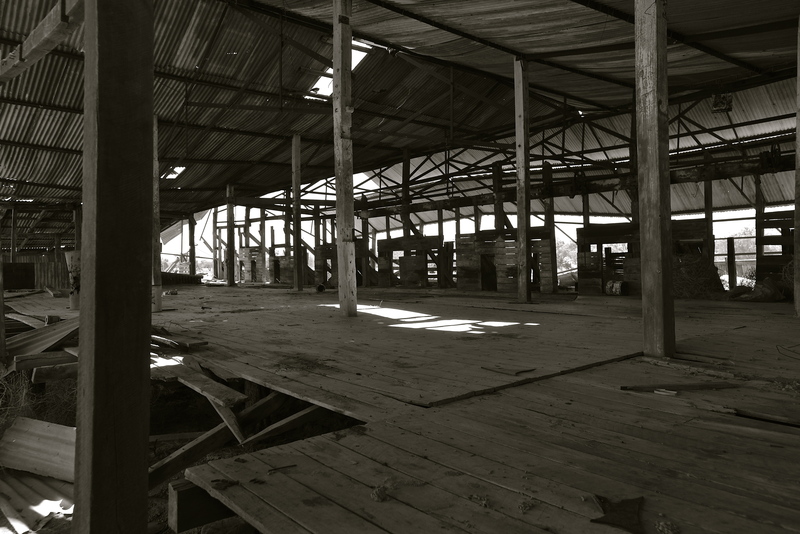 Samuel McCaughey was by all accounts a big-hearted bachelor and built Toorale for his much admired niece, Louisa, but tragically corporate ownership of the property in more recent times saw it decay and it is currently very dilapidated and in need of substantial repairs. But what of Henry Lawson I hear you ask? TomO, Janet and I were presented with a great treat whilst admiring the shearing shed. And his broom in the shearer’s way. In December’s heat and glare. And remember, if all else fails, remain out of control and see what develops! Broken Down – In the Australian Outback.